Product prices and availability are accurate as of 2019-04-16 08:48:04 EDT and are subject to change. Any price and availability information displayed on http://www.amazon.com/ at the time of purchase will apply to the purchase of this product. Easy, installed bookkeeping software for Windows that won't waste your time. Why? Because it's easy to make changes and correct entry errors. Great for small businesses, non-profits, clubs, groups, and individuals. Tailored to your needs. Just assign category titles to your columns and begin entering your data. Categorizes all your transactions for one year, keeps them in one convenient place and produces clear, concise reports. You won't be in the dark about your finances any longer. Creates an easy view of all your cash flowing in and out. Makes it easy for you to spot trends, manage cash and stay compliant. 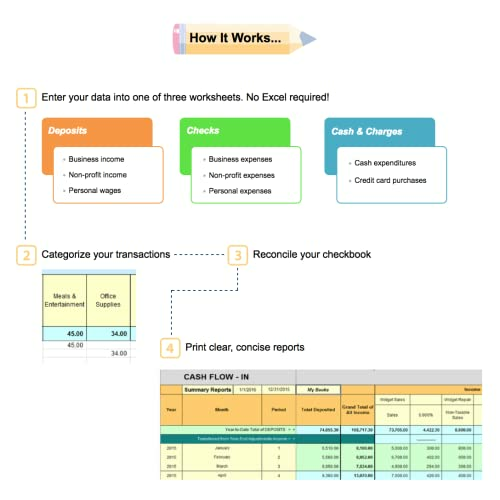 Sample company data provided for you to practice with before opening a new workbook and entering your own data. No need to worry about internet security because Big E-Z Books resides on your Windows computer. Each yearly license purchase includes a full year of support. Free trial and scheduled 30-minute tour and demo available. Imports your bank transactions, including those from merchant and credit card accounts. No need to write it all down or add it all up. Categorizes all your transactions for one year, keeps them in one convenient place and produces clear, concise reports. You won't be in the dark about your finances any longer. Creates an easy view of all your cash flowing in and out. Makes it easy for you to spot trends, manage cash and stay compliant. 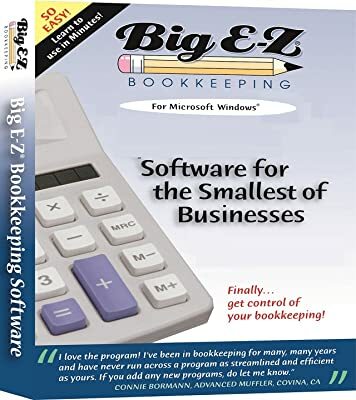 No need to worry about internet security because Big E-Z Books resides on your Windows computer. Each yearly license purchase includes a full year of support.